Claudia Gray’s young adult novel Lost Stars is one of the best books released in Star Wars’ new canonical universe—and now, it’s becoming the basis for a new digital manga series in Japan. The adaptation of the book—which follows the perspectives of Ciena Ree and Thane Kyrell and their relationship over the course of the events of the Galactic Civil War, even as they both end up on opposite sides of the conflict—will begin on May 4, releasing bi-weekly chapters for free through the popular manga app Line. Yūsaku Komiyama, who you might have heard of from the Avengers zombie manga, will illustrate the series. Star Wars already has a history with manga—in the wake of the special edition re-releases back in the ‘90s, the original trilogy was adapted into a three-volume manga, followed by an adaptation of The Phantom Menace. No movie after would get an official adaptation, but Tokyopop released its own Star Wars x Manga anthology series, and Take Shobo released a picture-manga adaptation of some episodes of the Clone Wars TV show. 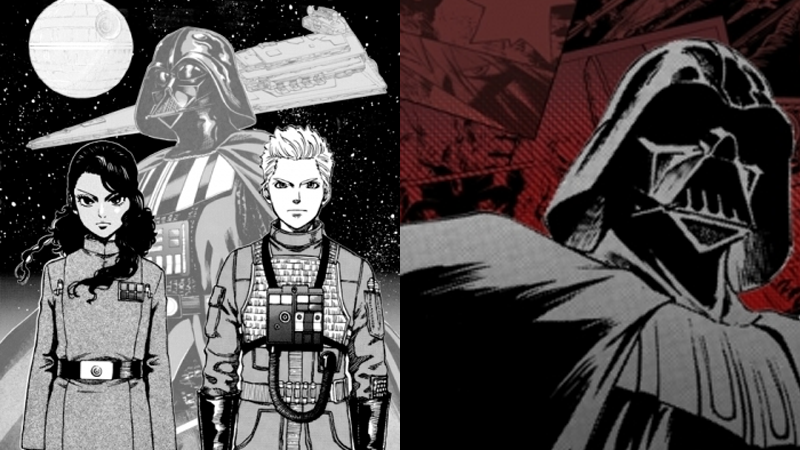 Lost Stars’ adaptation will mark the first time Grey’s story is actually available in Japanese, as well as the first officially licensed Star Wars manga in nearly a decade. As well as the release, Line is also hosting a competition for independent creators to adapt the first chapters of the novels Lords of the Sith and Heir to the Jedi, by Paul S. Kemps and Kevin Hearne respectively. The winning adaptations, chosen by both Line and Lucasfilm, will see their adaptation published as well as earn a trip to Lucasfilm’s HQ in San Francisco.